And if the City of Fremantle International Street Arts Festival wasn’t enough festival activity for you then there is also the month-long Australian Heritage Festival 2019 also kicking off tomorrow in Fremantle. The City of Fremantle has hosted its own Heritage Festival for a number of years, and is thrilled to be part of the Australian Heritage Festival’s program this year. The Australian Heritage Festival has 159 events registered in WA, and we are proud that 40 of them will be hosted in Fremantle. In this year’s Fremantle program, you’ll find inspiring guided tours at WA’s only World Heritage-listed building Fremantle Prison, and plenty more across the city’s important heritage sites. Australian Heritage Festival 2019 runs from 18 April – 19 May. The theme this year is Connecting People, Places and the Past. For more information about the festival’s events, visit the Australian Heritage Festival website. Claudia Chan Shaw presents on the Art of Collecting. Claudia is widely known around Australia as co-host and present on ABC TV’s popular program Collectors and is a presenter on Eastside Radio 89.7FM. The successful and colourful tour returns. Let’s dive deeper and explore the undercurrents that created the fishing industry in Freo. Where the fishermen and women mended and made their nets, processed their fish and refitted their boats. Street the streets and ride in style to places that used to be. Returns after being sold out the last two years! Fremantle is a city of layers with thousands of individual planning choices shaping the unique place that it is today. Join Mayor Brad Pettitt on a bike tour exploring what could’ve been – the stories of the unbuilt and the historical saves. Art, craft workshops, storytelling and music performance. Wadjuk Nyoongar Richard Walley and family will deliver creative cultural workshops for children e.g. toolmaking and clay modelling. Children will get the opportunity to make a small tool using clay. Join us for the annual keynote address of the Fremantle Heritage Festival, delivered by the internationally renowned journalist Pete Greste. In this fascinating keynote address, Greste will explore the complex issues of truth and lies as it relates to our past, present and future. A sod turning ceremony at Kings Square this morning has marked the start of construction on the City of Fremantle’s new civic centre and library. 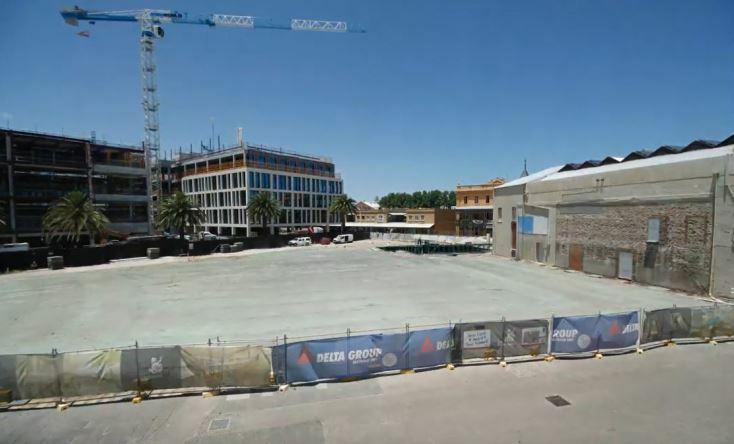 The $41.3 million project is part of the broader $270 million Kings Square Renewal project – a joint initiative of the City of Fremantle and Sirona Capital. It is a historic day for the City. The Fremantle Town Hall has been standing proudly in Kings Square for well over a hundred years. It’s my hope that a hundred years from now our new civic centre and library building will still be standing alongside it, and will be regarded with the same love and affection. Our new civic centre and library will be an amazing building, not just for the council but for the whole community. Less than half the floor space of the building will be taken up by the operations of the City and its staff, with the majority of the building for community facilities and commercial and retail spaces. It will have a stunning modern library, fully accessible toilets and change facilities, a state-of-the-art information and customer service centre, a wide range of community meeting rooms and gallery and exhibition spaces integrated with the Town Hall. It will also be one of the most energy efficient buildings of its size in Australia and showcase a wide array of sustainability features. But most importantly, it will bring people back to the civic heart of Fremantle and make Kings Square a safer, more attractive and vibrant space. The new civic centre and library was designed by the internationally renowned Fremantle firm Kerry Hill Architects and will be built by WA construction company Pindan. Pindan Managing Director George Allingame said it was very special to be involved in such a landmark project. “Even though I have been in the construction business for over forty years, I really enjoy moments like these,” Mr Allingame said. “I would like to thank Mayor Pettitt and the City of Fremantle for entrusting Pindan with this project, and I would also like to commend Kerry Hill Architects for designing such a magnificent building. Fremantle MLA Simone McGurk represented the Premier at the ceremony. “Today marks a turning point for Kings Square and the Fremantle CBD,” Ms McGurk said. “The new civic centre will be an open, sustainable and community-oriented space in the heart of Fremantle. Kerry Hill Architect’s Sean McGivern, Sirona Capital’s Matthew McNeilly, George Allingame from Pindan, Fremantle MLA Simone McGurk and Mayor Brad Pettitt turn the first sod of the City of Fremantle’s new civic centre and library. This week’s signing of the contract with Pindan Constructions to build the new civic centre and library in Kings Square was a historic moment for the City of Fremantle. As an integral part of the broader Kings Square Renewal project, the new civic building will be an amazing community asset we can all be proud of. It’s a fact that without the City’s commitment to invest a new civic building the revitalisation of central Fremantle we are currently witnessing – with new offices, retail spaces and 1500 state government employees relocating to town – simply would not be happening. Similar to other Kerry Hill designed buildings – like the City of Perth library and the State Theatre Centre – the new civic centre will be a light, bright and airy space. It will have a new, modern public library – double the size of the old one – with a huge range of books, computers, a state-of-the-art history centre, a library lounge and outdoor courtyards, even gaming consoles and a slide. It will have community meeting rooms, fully accessible public toilets and change facilities, a modern information and customer service centre and gallery and exhibition spaces integrated with the Town Hall. It will also be one of the most energy efficient buildings of its size in Australia – aiming to be zero carbon by making more energy that it uses. It’s taken years of community engagement, investigations, reports, consultations, debates and deliberations to arrive at the point where we could hit the ‘go’ button on one of the most significant projects in the City’s history. The Fremantle Council recognised back in 2003 – long before I was elected – the need to replace our old administration building. At that time the council moved a motion to investigate alternatives to what was described in the council report as a building which was ‘outdated and incurred considerable annual maintenance costs’. The report also stated ‘a considerable amount of money would be required to upgrade and refurbish the building to current acceptable standards’. The following year the council established a Civic Area Redevelopment Project to look at a precinct-wide development of Kings Square, including the City-owned buildings and the privately owned Myer building. In 2011 the council revisited these earlier plans with a fresh new approach to the Kings Square precinct and kick-start Fremantle’s much-needed revitalisation. Following an innovative ‘Citizens Jury’, the Kings Square Urban Design Strategy was adopted by the council in June 2012. These community-inspired design guidelines along with a comprehensive business plan were then used as the brief for the Kings Square Architectural Design Competition. The competition was promoted nationally and internationally in 2013 and conducted in accordance with the Australian Institute of Architects Competition Guidelines. The final winning design by Fremantle-based Kerry Hill Architects, along with other entries, formed part of a public exhibition in 2014. Since then the council has worked to further refine the design, put our finances in order to fund the project and entered into a commercial agreement with Sirona Capital to leverage their $220 million investment to redevelop old Myer and Queensgate sites as part of the broader renewal of Kings Square. The total cost to construct the new civic centre and library will be $41.3 million. We have been very diligent in keeping costs down and ensuring the best value for money for ratepayers, while also delivering a magnificent new community facility. Even so, $41.3 million is a lot of money so it’s natural for people to ask if we can afford it. A 10-year financial plan adopted in 2015 showed the City’s finances would be strengthened as a result of the Kings Square development. The project will be funded over the next four years using a combination of existing savings, the proceeds of previous asset sales and additional borrowings. Because of prudent financial planning it does not rely on huge increases in rates. We are already seeing the boost this project has given central Fremantle, with new investments in residential apartments and commercial properties. The increase in commercial and residential property developed as a result of Kings Square will generate more rate revenue for the City, taking the pressure off existing ratepayers. The improved energy efficiency and reduced maintenance costs on the new building will also deliver significant operational savings. The old administration building suffered from concrete cancer, had significant asbestos contamination and did not meet legal disability access requirements. A report prepared in 2012 showed the City would have to spend $28 million on the old building just to meet the minimum required standards, and more than $50 million to properly refurbish it and add new extensions. So the real question around a new building was not if we could afford to do it, but rather if we could afford not to do it. The recent demolition of the old administration building and library created an open environment at Kings Square which hasn’t been seen for more than 100 years, and which prompted some to ask why we couldn’t leave the square open and locate the new facilities elsewhere. Fremantle Society cited a report from 2006 which recommended just that. However, that same report also said in order for Kings Square to function as a big open space it would require the redevelopment of the four surrounding sides of the square, with significantly increased density and building heights. It’s also clear that Sirona would not have been willing to invest in the Kings Square Renewal project unless the City also committed to new civic and community facilities in the square. The whole point of the Kings Square Renewal project is to bring people back to the heart of the city and make Kings Square a safer, more attractive and vibrant space. The new civic building will do that – our current library alone attracts 14,000 visitors a month. It is a genuinely transformational project, which will breathe new life into Fremantle’s civic heart and be enjoyed by generations to come. The transformation of Fremantle’s city heart is about to enter an exciting new phase with the contract signed for Pindan Constructions Pty Ltd to build the City of Fremantle’s new civic centre and library in Kings Square. Pindan was selected as preferred contractor by Fremantle Council in November last year following a competitive tender process. Since then the City and Pindan have been engaged in negotiations to finalise the details of the project and to ensure it delivered the best value for money for the City’s ratepayers. Mayor Brad Pettitt said the new civic building would become a Fremantle landmark everyone could be proud of. “Pindan are a quality WA-based construction company that has previously built award-winning projects like the Wanneroo Civic Centre extension, Claremont Council Chambers, Karratha Leisureplex and the Leighton Apartments,” Mayor Pettitt said. “They’ll be constructing a building designed by the world-renowned Kerry Hill Architects, who won a major architectural competition for the right to design the building. “Kerry Hill also designed City of Perth Library and State Theatre Centre in Northbridge and the new civic centre will have a similar feel to those exceptional buildings. “It will be a building for the whole community, with an amazing modern library, information centre, customer service spaces, meeting rooms for public use, change facilities and exhibition spaces. “It will also better integrate with the historic Fremantle Town Hall, which will create more opportunities for people to enjoy that beloved building. The new Fremantle civic centre, which will be fully accessible, will also include commercial offices on the third floor to provide further jobs and business activation within the city centre. The ground floor will include retail space and a café. It will also boast a range of sustainability features and will be one of the most energy-efficient buildings of its size in Australia. The new civic centre is an integral part of the broader $270 million Kings Square Renewal project – a joint initiative between the City and Sirona Capital. The Kings Square Renewal, which includes the revolutionary FOMO food and retail concept and offices for 1500 state government employees, is expected to create more than 2000 new local jobs and inject an estimated $358 million into the local Fremantle economy. The civic centre build will be project managed by Sirona Capital on behalf of the City. Construction will ramp up over the next few weeks and take about 18 months to complete. City of Fremantle Chief Executive Officer Philip St John said the total construction cost would be $41.3 million. “This project is funded through a combination of existing reserves, the proceeds of asset sales and additional borrowings,” Mr St John said. “We are already seeing the catalytic effect this project is having in Fremantle, and the increased confidence in commercial and residential property development as a result of Kings Square. Pindan Managing Director George Allingame said the company was pleased to be awarded the civic building construction contract. “As a local company we are proud of our record of delivering top-quality construction projects all over Western Australia and across the country,” Mr Allingame said. Kerry Hill Architects Director, Seán McGivern, said as Kerry Hill was a Fremantle local the new civic building was close to his heart. For more information on the Kings Square Renewal Project visit the Kings Square Fremantle website. Pindan’s Jaco van Staden and Sam Fisher with Fremantle Mayor Brad Pettitt and Chief Executive Officer Philip St John signing the contract to build Fremantle’s new civic centre and library. The demolition of the City of Fremantle’s old administration building in Kings Square is now complete, with 95 per cent of the building’s materials recovered for recycling. A total of 6443 tonnes of material was removed from the site, including 5841 tonnes of bricks and concrete, 294 tonnes of steel and 83 tonnes of general waste. Our aim is for its new administration building to be one of the most sustainable buildings of its size in Australia, so recycling the materials from the old building was a great start. As a One Planet council we are committed reducing waste and encouraging recycling in everything we do – and that includes recycling almost an entire building. The bricks and concrete from our old building will be crushed and recycled as road base or drainage materials, while the steel will be recycled and used in the manufacture of new steel products. Our target is for the new building to be zero carbon, so it will have a sophisticated automated opening façade system designed to capture Fremantle’s famous sea breezes and enable natural ventilation for most of the year. The demolition of the old administration building was carried out by experienced demolition contractor Delta Pty Ltd. While the bulk of the project was carried out using heavy machinery, sections of the building connected to the historic Fremantle Town Hall were taken down by hand. Scaffolding was erected to protect the Town Hall during demolition and noise, dust and vibration monitoring was conducted throughout the demolition process. The project also included the removal of 224 tonnes of asbestos. Strict environmental management controls, including airborne control sampling, were in place during the asbestos removal. The old building was removed to make way for the City’s new civic, administration and library building. The new building, designed by the world-renowned Kerry Hill Architects, is a key component of the broader $270 million Kings Square Renewal project – a joint initiative between the City and Sirona Capital. Last month Pindan Constructions was selected as the City’s preferred contractor for the project, with the awarding of the contract now subject to final negotiations. If those negotiations are successfully concluded construction is expected to start early next year. To watch a time-lapse video of the demolition of the old building click here. The City of Fremantle has identified a suitable Moreton Bay fig tree to relocate to Kings Square. The much-loved Kings Square ‘Christmas Fig’ was removed earlier this year because of its deteriorating condition and concerns about public safety. The Fremantle Council approved the tree’s removal on the condition it would be replaced by another mature Moreton Bay fig tree. The City’s Director of Strategic Planning and Projects, Paul Garbett, said a perfect tree had been located in Ord Street. 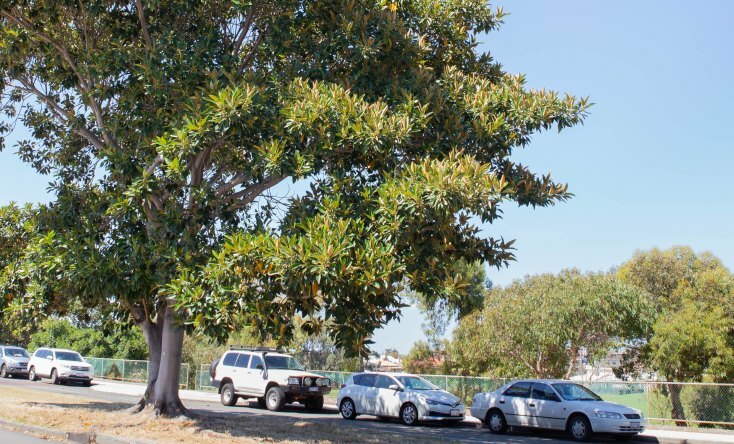 “The City commissioned an arboriculturalist to work with our project team to find a suitable tree based on criteria such as its size, health, shape and ability to be transported,” Mr Garbett said. “From an initial list of 11 trees around Fremantle we shortlisted four of them for further consideration before finally selecting the best one. “It will take more than a year to prepare the tree for relocation so we’re looking at the beginning of 2020 before it’s moved to Kings Square. The plan to relocate the fig tree from Ord Street to Kings Square was endorsed by the council last night. The total cost to relocate the tree is expected to be around $45,500. The City is also making progress with other elements of the public realm at Kings Square. Three Whadjuk Noongar elders have been nominated by the Whadjuk Working Party to provide guidance to the City on how indigenous culture and history can be included in the renewal of Kings Square. A concept for an environmentally sustainable lighting design has been developed, and a demonstration of different paving options will be installed next month.